Making good golf days great with one of our golf promotions. It might be a hole in one or a shoot out or a mix of both. You can offer anything from a car to a large cash prize to the lucky winner – with us paying out the costs. Golf competitions are incredibly popular, they appeal to a wide demographic while offering an inexpensive way to leverage your big day. Hole in one insurance allows you to offer a great prize for a hole in one with the insurance company taking all the risk. A premium is agreed taking into account the number of participants, the distance and the prize value. If you have a hole in one contest winner our insurer is responsible for paying out the prizes. 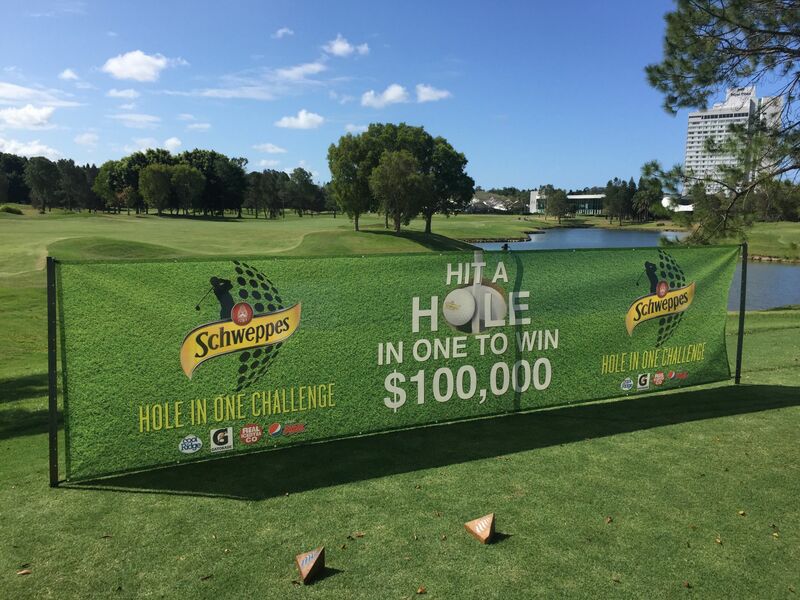 Selecting a limited number of participants to shoot for a big prize – such as $1m for a hole in one can be spectacular. You work out how you will select the participants (raffle, closest to the pin). On the 18th hole at the end of the golf day they shoot for the big prize – insurers pay if they are successful. The excitement generated can be awesome. An exciting low cost way for sponsors to showcase their product is them sponsoring a hole in one with their product being the prize. A car dealership as an example might have their shiny new car on display as the hole in one prize – the dealer pays the nominal premium so hasn’t any risk if a hole in one is secured. Great low cost publicity, especially when a contestant drives home with the new car.